1. Have you been evaluated for an illness or injury by the medical center? 2. 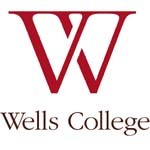 Were you referred by the Wells College Athletic Training Department? 3. Did you schedule an appointment in advance or did you walk-in? 4. If you scheduled an appointment in advance, were you able to get an appointment within 48 hours (2 days) from the time you called?